The Dreidel game for up to three players. 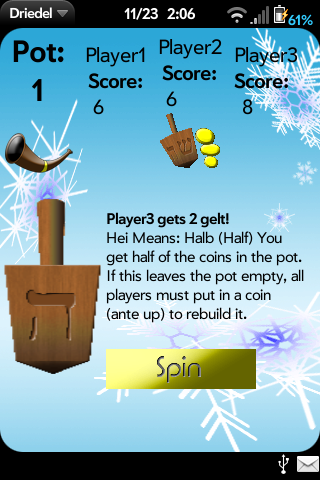 An animated dreidel spins on the screen, the dreidel song plays, the computer keeps score, and you pile up your gelt. Tap the Shofar to turn the sound on and off. Happy Hanukkah from the folks at VocShop Games!